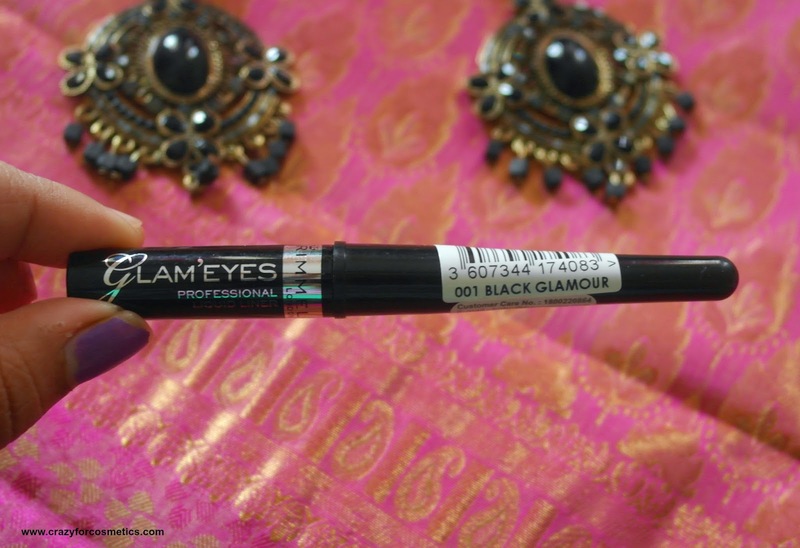 I know its been months since Rimmel London was introduced in Health & Glow counters across cities in India, but it took me this long to buy stuff from them. Rimmel London has awesome value for money products and I managed to pick up a black liquid eyeliner, makeup remover and the most raved Stay Matte powder. 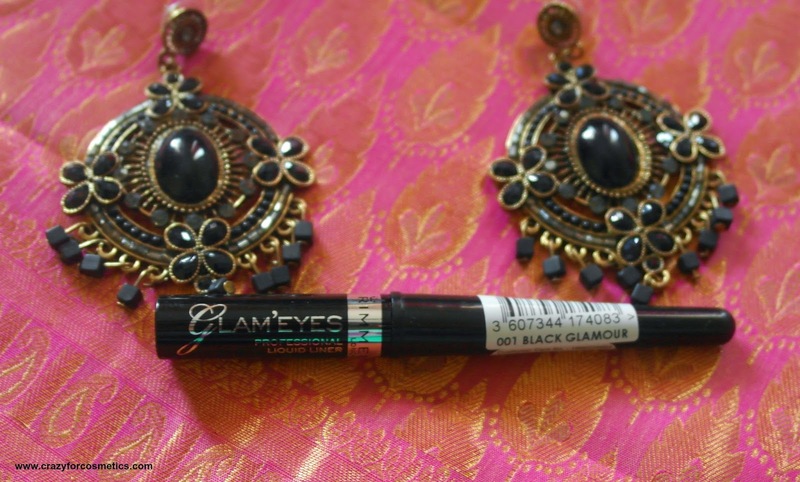 The Rimmel London Glam Eyes Professional Liquid liner comes in a black plastic case with a screw type lid. 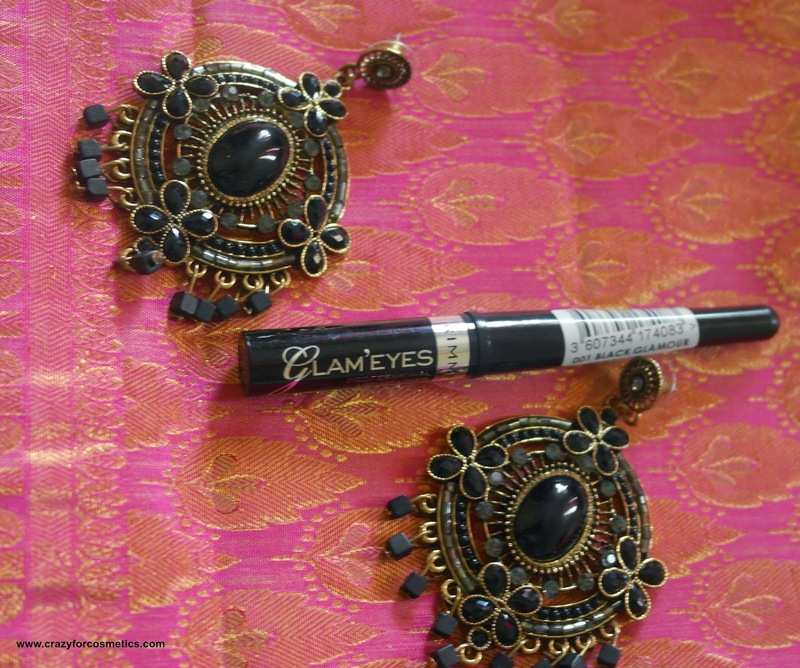 The brush is extremely thin and those who prefer thin line on the eyes will be impressed. Unfortunately I am not too comfortable with such a thin tip as I am able to get a thick line easily and I have to go over & over multiple times.The product looks very sleek and the packaging is ideal for travel, since it occupies very little space in your pouch. 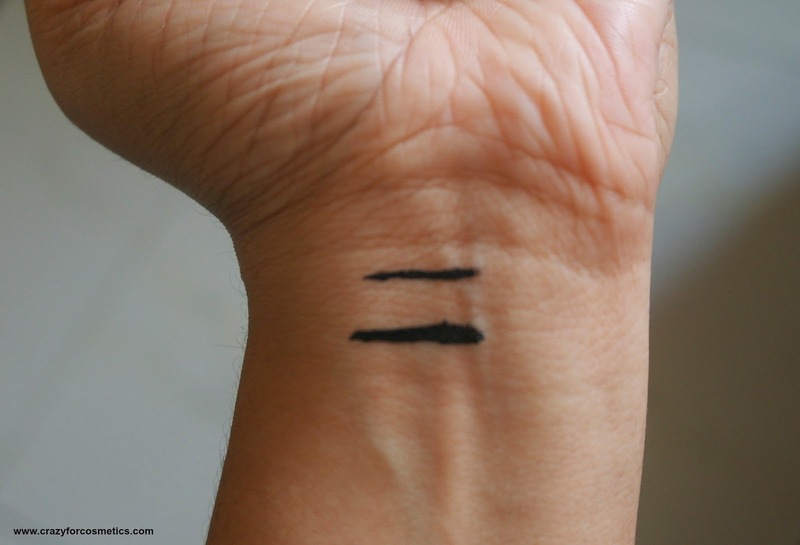 The liquid liner has decent consistency but remember to warm up the bottom jar a bit by rubbing it in between your palms to get the required level or you can shake it twice before applying (This was suggested by the SA at the counter ). 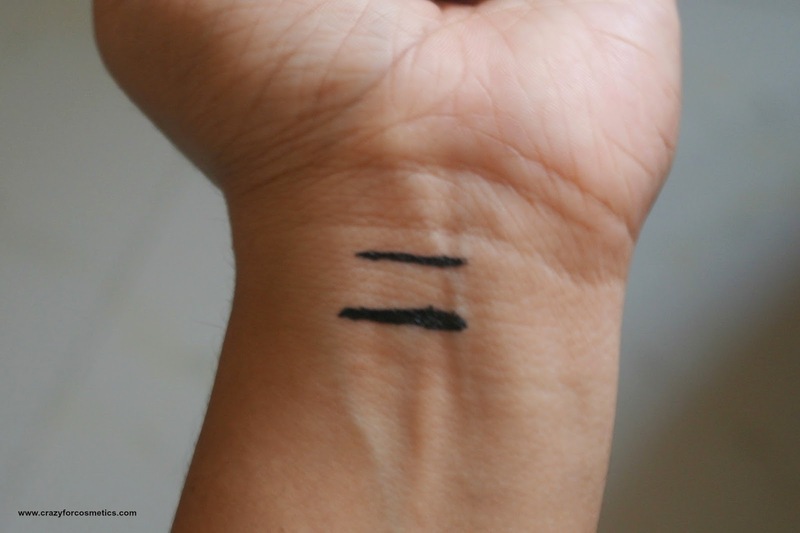 Otherwise it could end up being a bit more on the runny side and the desired pigmentation will not be achieved and you might need 2 to 3 coats. The liquid is jet black and it dries quickly once applied. It is not waterproof so beware of tears !!! 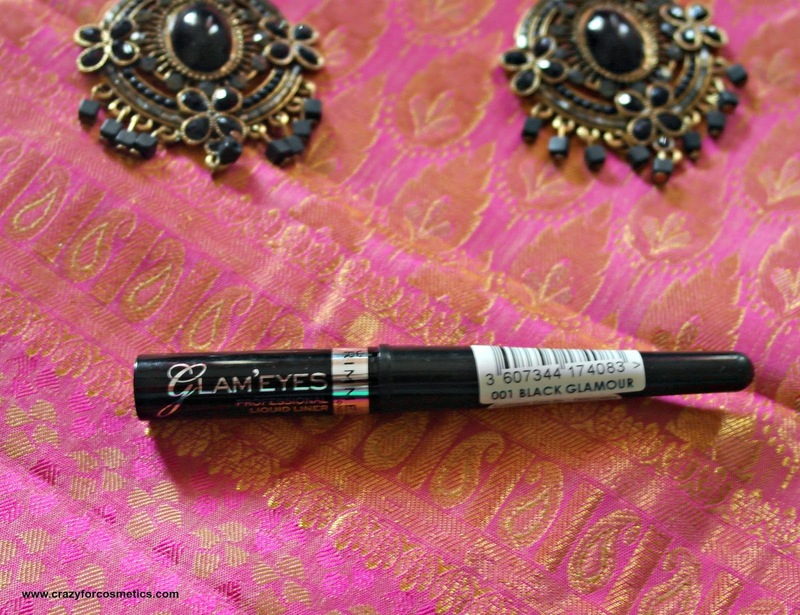 It gives a jet black effect on the eyes too.The liner has a weird smell but it does not bother you when you apply it on the eyes. The liner stood in its place for a good 9 hours after which I had to remove it. It stayed intact for the whole duration and I am completely impressed with the staying power. While applying, a small portion went inside my eyes and it did not irritate my eyes. 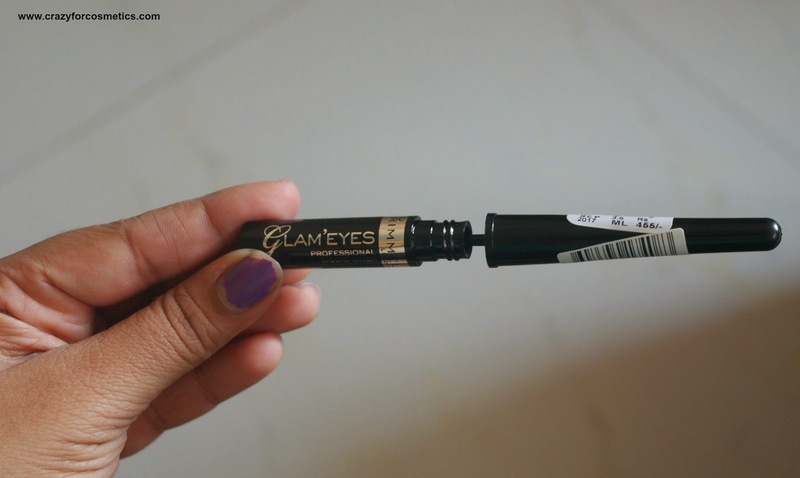 Usually if that happens, my eyes tend to water but surprisingly that never happened with Rimmel London Glam Eyes Professional Liquid liner. 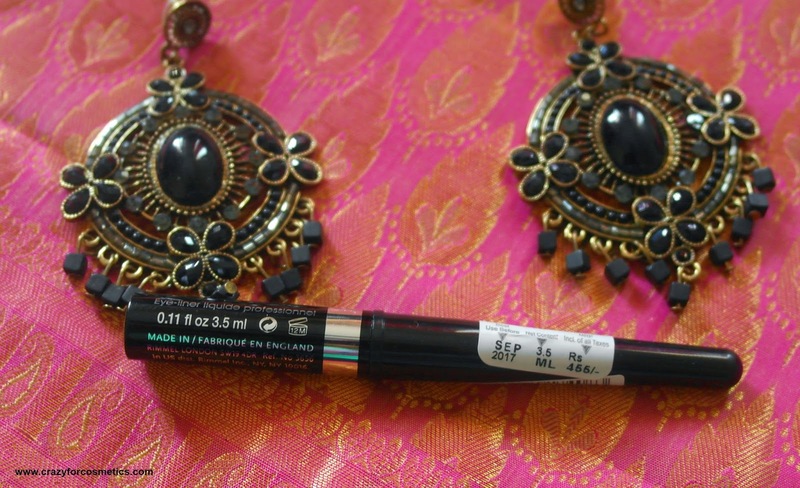 It costs INR 455 which I feel is quite nominal for liquid liners. It was very easy to remove it and that is another reason I prefer liquid liners when compared to GEL liners. 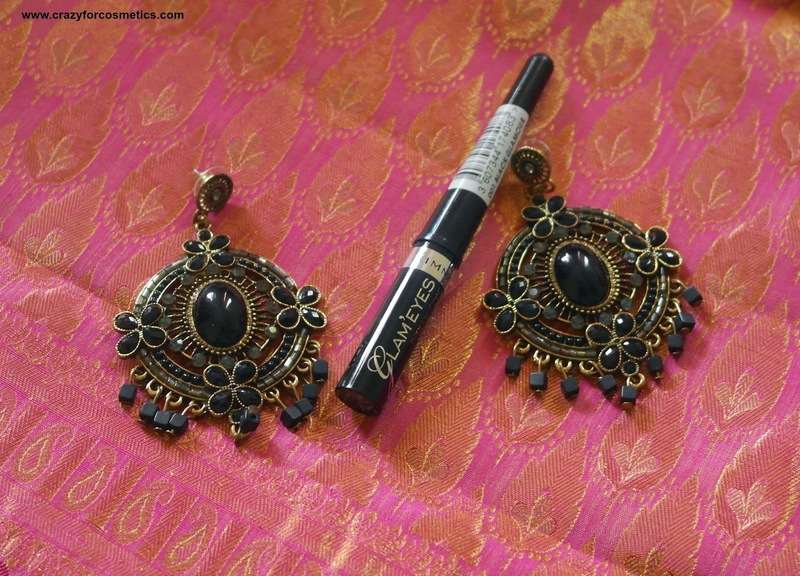 I used few drops of the Rimmel London Gentle Eye makeup remover for the same. (review will be up soon). 6 : Ophthalmologist tested & it did not irritate my eyes. 7 : Can be removed easily. 2:You need to warm up the product before you apply to avoid runny consistency.